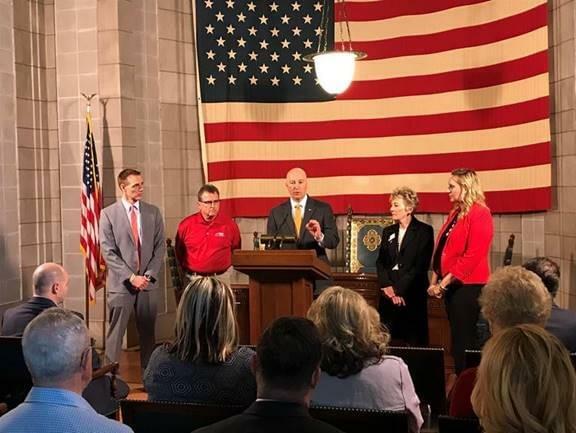 “Governor Pete Ricketts joined the Nebraska REALTORS® Association (NRA), the Home Builders Association of Lincoln (HBAL), and the Metro Omaha Builders Association to oppose legislative proposals that would raise the cost of home ownership. Currently, the Revenue Committee is considering tax increases on home sales and home repairs. In particular, it has discussed hiking the doc stamp tax on real estate transactions (real estate transfer tax), taxing home repairs like plumbing work, and placing a tax on moving services.